One of my clients called me this morning and told me about a profile that had been opened under his name. I received a friend request from him yesterday so I thought he accidentally unfriended me and was reaching out to me again. I accepted his request but didn’t realize it was from a fake profile. 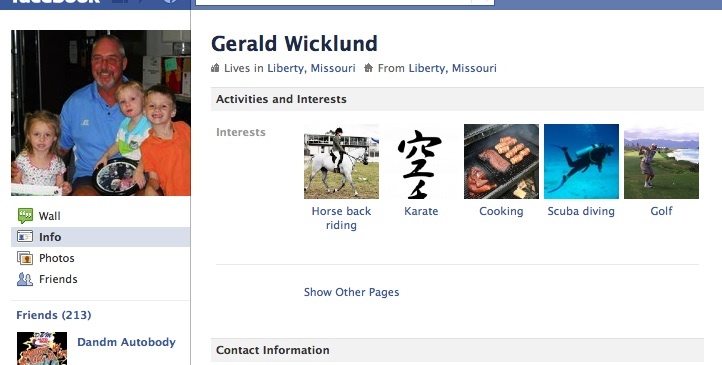 As of 1:30 today, over 200 people had joined his fake profile page. I called Facebook’s “customer service line” and got an automated message that Facebook didn’t provide phone support. “You can find answers to your questions by clicking help in Facebook,” the recording stated. The only advice I got was to click the “Report this person / Block this person” link. I’ve reported the person several times and posted on the page that this was a fake profile. I also posted on his page a link to the Facebook help page about fake profiles and a notice to his friends to not accept friend requests from another person posing as him. Facebook has over 500 profiles from all over the world. Managing fake profilers, spammers and devious marketers sounds like an administrative nightmare. Still Facebook should have some checks in place to deal with unscrupulous marketers taking advantage of Facebook’s relationship-based functionality. Will it take a lawsuit? Anyone up for a class action suit? If 100 victims of fake Facebook profiles joined, would Facebook listen and institute some changes? Someone set up a profile page under my name too. I’ve sent a request to friend them. I never thought there was another Leilani Haywood on the planet. 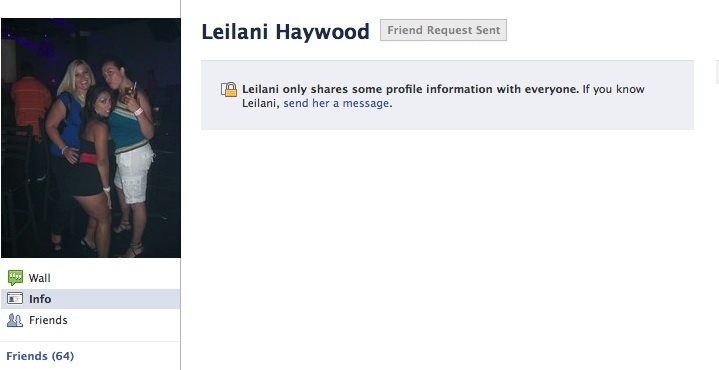 Apparently another Leilani Haywood exists. Do you have someone spoofing you or faking your profile? You better check! Tell me if you find someone faking your profile. I want to hear your story. Apparently this is another tactic for unscrupulous marketers to gain access to Facebook profiles. So be careful who you friend on Facebook. Make sure they are a friend and not a marketing foe.